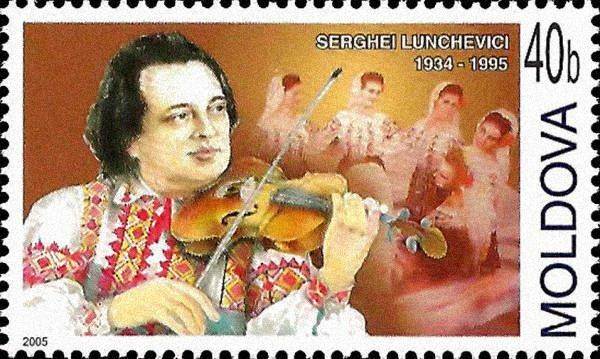 On 1 July 2005, the Post Office of Moldova (Poșta Moldovei) issued a series of postage stamps with the title Eminent Persons. 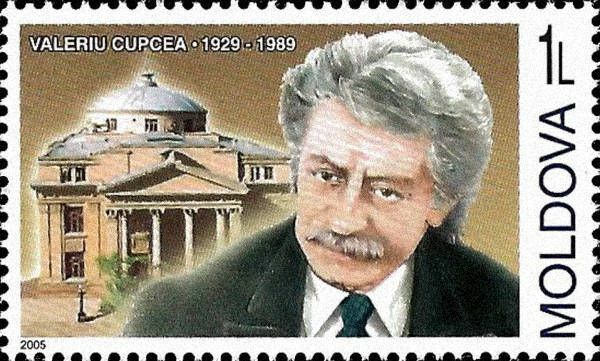 The issue comprises three stamps, with associated cancellation (postmark) and first day cover (FDC). The designer was Alexei Colabneac. The printing was performed by Tipografia Centrală, Chişinău. Anton Grigorevich Rubinstein (Russian: Анто́н Григо́рьевич Рубинште́йн, tr. Anton Grigor'evič Rubinštejn) (November 28 [O.S. November 16] 1829 – November 20 [O.S. November 8] 1894) was a Russian pianist, composer and conductor who became a pivotal figure in Russian culture when he founded the Saint Petersburg Conservatory. 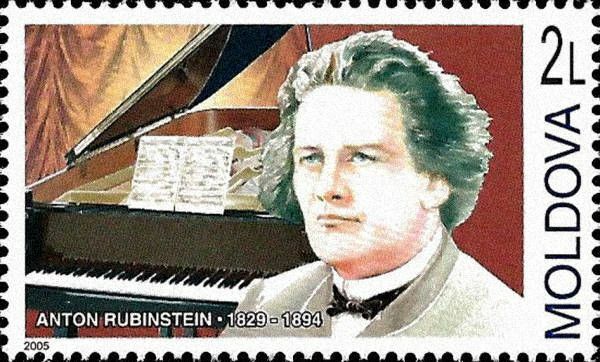 He was the elder brother of Nikolai Rubinstein who founded the Moscow Conservatory (but was not related to the later pianist Arthur Rubinstein (1887-1982)). Read more.. This article uses material from the Wikipedia article 'Anton_Rubinstein', which is released under the Creative Commons Attribution-Share-Alike License 3.0.